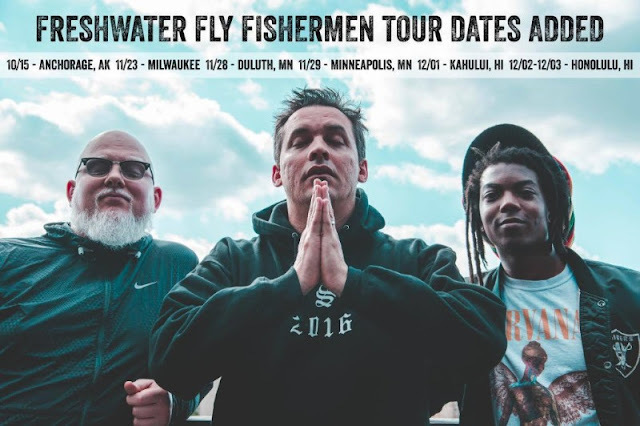 Atmosphere just added tour dates in Anchorage, AK; Milwaukee, WI; Duluth, MN; Minneapolis, MN; Kahului, HI; and Honolulu, HI (Night 1 + Night 2). The Freshwater Fly Fishermen Tour kicks off next week with a SOLD OUT show in Morrison, CO at Red Rocks. Get your tickets today, shows are starting to sell out! All newly added shows on sale today at 10:00am local time.